Held in battle : When the holder has 1/4 its max HP remaining or less, it consumes this item to raise its Speed by one stage. This focuses on beating the usual Blissey switch-in who will almost always start by attempting to Thunder Wave. So as Blissey uses Thunder Wave, you outspeed it and use Substitute to block it. That gives you a free setup turn for Nasty Plot, as Blissey breaks your Substitute with Seismic Toss. 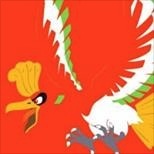 Now, Blissey would probably expect you to Substitute again, so it most likely will use Seismic Toss again. Surprise it by using another Nasty Plot. Now Blissey, probably freaked out, will do anything ranging from Seismic Toss, Thunder Wave, or even switching. However, now that you already have +4 Special Attack (or +6 if you used Nasty Plot when Blissey switched in), you don't even care what Blissey does. You put up another Substitute to get yourself the Salac Berry boost which will let you outrun anything under 404 Speed, and get to sweep your opponent's whole team. The last slot is mainly to cover what Tri Attack doesn't. Dark Pulse hits Ghosts harder, but Tri Attack / Dark Pulse is walled by Steel. Therefore, Thunderbolt is probably the best choice since most Ghosts you encounter will probably die to +4 Special Attack Thunderbolt from PorygonZ. Be warned though, as good as this set is, it will lose to priority moves *cough*Lucario*cough* and anything above 404 Speed, so please take them out (which shouldn't be that hard, compared to taking out Blissey) before using this set. This is a good moveset for porygon-z (Pokemon #474) with the adaptability ability/trait, a Modest nature, and equipped with Salac Berry submitted by TeamRocketGrunt. For use in competitive Pokemon battles featuring an Export option and breeding guide.